Inmarsat (LON: ISAT) has entered commercial service with SwiftBroadband-Safety (SB-S). The next-generation satellite IP platform is designed to meet the needs of aviation data communications in the digital age and offers airlines game-changing visibility into their airline operations. This is the first, and only, global, secure, broadband platform for operations and safety communications. SB-S unlocks a world of digital intelligence for airlines, transforming the role of SATCOM from a safety utility to a key source of strategic value. The platform enables a range of value-added applications[i], allowing airlines to use rich, real-time data to drive decision-making, improve operational efficiency and assure the highest levels of safety in the skies. The platform is already attracting significant industry recognition and has undergone successful evaluation by the U.S. Federal Aviation Administration (FAA)’s Performance-Based Aviation Rulemaking Committee (PARC) as a platform to provide direct data link communication between pilots and air traffic control (ATC). In addition, SB-S received the prestigious 2018 Jane’s ATC Award in the Technology category last month. 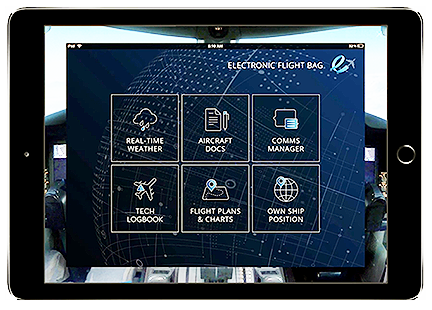 SB-S reduces airlines’ fuel costs and CO2 emissions through enabling connected Electronic Flight Bag (EFB) applications, including real-time weather reports, optimized profile descent and trajectory-based operations. Flight tracking, real-time flight data streaming (Black Box in the Cloud) and interface with rescue coordination centres will assure safety by providing a solution to the International Civil Aviation Organization (ICAO)’s imminent new Global Aeronautical Distress & Safety System (GADSS) requirements on flight tracking and data recoverability. With SB-S, remote, secure access to onboard data delivers aircraft health and performance information to the ground in real time, improving predictive maintenance and assisting in quick fault resolution for faster on-the-ground turnaround. Increased periodic position reporting enables reduced separation minima, unlocking additional airspace capacity to match growing demand, while digital SatVoice capabilities relieve pressure on currently crowded VHF radio links. 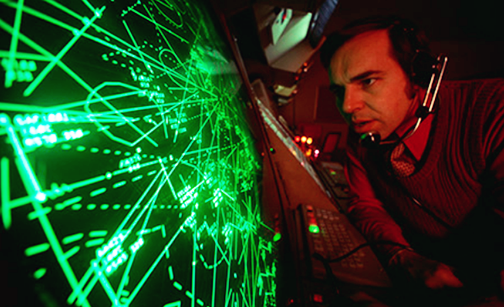 SB-S provides a secure communications and surveillance solution for ATC requirements, and its broadband capability is essential for air traffic management (ATM) modernization. SB-S also serves as the platform for Iris, a ground-breaking program with the European Space Agency (ESA) that will enable 4D trajectory ATM which is expected over Europe by 2020. According to Inmarsat, they are the only aviation broadband provider capable of connecting the complete aircraft from cabin to cockpit with their own network. Inmarsat’s networks are designed for total data segregation between regulated safety and operational services and passenger connectivity, with a “data fortress door” ensuring the highest level of information security. Captain Mary McMillan, Inmarsat Aviation VP of Safety and Operational Services, said that with SB-S in commercial service, the aviation industry can now fully realize the benefits of the connected aircraft — driving greater efficiency in airline operations, while leading the way for the future of aviation safety.